I was going way too fast when working on an article today and had a serendipitous keyboard collision. Instead of typing “playing the angles” I typed “playing the angels.” And a new insight was born. When we’re trying to please everyone and mold who we are to what we think our organization wants or needs, we’re playing the angles. I spent many years doing this, was good at it, and it made me successful. I never cheated or lied (not that I can recall) but I recognize now I cheated myself, and probably my organization for holding back my ideas and more thought-provoking comments that might have pushed change along faster, or created the discomfort that ends up creating growth. When we’re working in our superpower space, we’re playing the angels. We’re adding unexpected value, creating what was thought to be impossible, and bringing blessings and love. Yes, love–yes, even in the workplace. 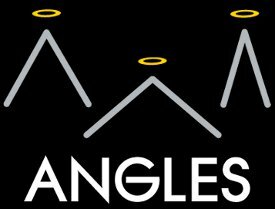 Are you playing Angles or Angels? What’s working for you?